Some new details may have surfaced in regards to Nintendo's next console and, according to recently filed patents, it looks like the gaming machine will be sans a disc drive. This is all of course rumor and speculation at this point, though Nintendo did file some very real patents that appear to be for the publisher's next major console, the Nintendo NX. Leave it to Neogaf users to sniff out all of the details, posting copies of the patent that show the basic structure of a new device that could just about only be a new game console. Said device features all of the standard inner workings of a console, including an internal HDD for game programs and game data, a memory card slot that appears to be at the back of the unit, a communication unit for connecting to the internet, a port for an external HDD, a wireless communication unit and even a controller. All of these features are currently boxes with arrows showing how they connect, but you get the idea. Also, the Nintendo patent is for a “Stationary Game Apparatus” so, yeah, it looks like we're looking at a bare bones version of the NX here. While filed back on Feb. 10, the patent was not published until two days ago, Aug. 20. 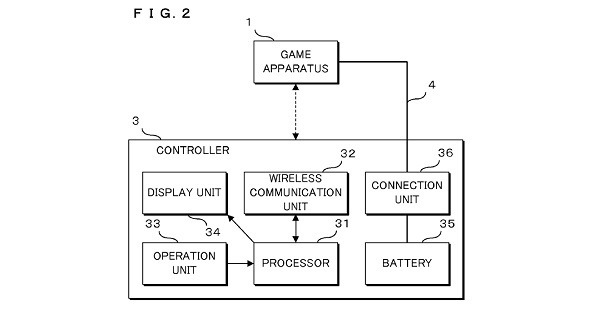 The only other major standout from the lengthy patent is that the controller features a display unit. Does that mean we could be looking at a remodeled version of the Wii U controller, or perhaps something a little more subtle this time around? So, is this our first look at the NX? Nintendo has always been known for going in bold new directions, so I guess it makes sense that they would be the first major console developer to ditch discs. Assuming there's nothing fiddly about that external HDD hook-up, you could theoretically pay a couple hundred bucks for a massive block of memory and download games for the life of the console. Or, is it possible that Nintendo is going to have an emphasis on game streaming? They've never been too sharp in the online department, though, so I doubt that one's as likely. Either way, disc or no disc, this could be great news for current Nintendo console owners. Imagine if all of your current Wii U games were playable on the NX right out of the box. Would that mean that more recent titles like Splatoon and the upcoming Mario Maker will have an extended lifespan. Can we look forward to someday downloading that next big Zelda game? There are obviously still a lot of questions surrounding the Nintendo NX, but maybe this recent patent has finally given us a glimpse at some answers.